Our articles You Can’t Say That! 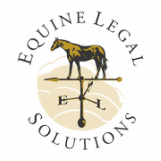 What Horse People Need to Know about Libel, Slander and Defamation and Horse Industry Defamation Revisited: The Crucifixion of a Texas Trainer have inspired quite a number of questions. Here, we discuss the most popular question topics. What if the Negative Information is True? Truth is a defense to defamation suits. Practically, that means you canstill be sued for publishing negative information, even if it is true. And even if you prevail as a defendant in a defamation action, what have you won? Your name has been vindicated, perhaps, but that vindication has a big price tag. Defending a lawsuit is expensive - you can expect to spend $10,000 or more just to retain an attorney, and expenses well into six figures if your case is complicated and goes to trial. Note that you probably won't recoup these expenses if you win, because the law only provides for the award of attorneys' fees and court costs in very specific instances. Defamation is just one cause of action available to someone who has had their professional reputation injured by the publication of negative information. Tortious interference with contract, tortious interference with business relationships, and tortious interference with prospective business advantage are three others. Note that truth is not a complete defense for those causes of action. If you are a defendant in a defamation lawsuit, you have the burden ofproving that the negative information you published was true. All of it. At the same time, the plaintiff will be trying to undermine your truth defense by showing that the information, or at least some of it, was false. If you can't prove that all of the negative information was true, your defense will have holes, and you will have some potential liability. "Where there's smoke, there's fire" doesn't apply to defamation lawsuits. If the subject of the negative information has a reputation for taking part in the types of activities described in the negative information, that doesn't mean that these particular allegations are true. And if these particular allegations are inaccurate, the publisher can be held accountable, even if there's a lot of factual support for other similar allegations. The mere fact that negative information is consistent with what's already known doesn't make it true. What better way to discredit someone than to capitalize on existing rumors? Consistency might just mean the defamer is clever. If you operate a website and have some concerns about posting some information you've obtained, the most advisable course of action is to ask your lawyer for advice before publishing it. Sure, it might cost you, but the benefits will far outweigh the costs. First of all, your lawyer can advise you on what the risks are, and how to mitigate them. Your lawyer can provide you with tools to avoid getting sued, such as minor wording adjustments, qualifications and the like. Before you have a lawsuit filing deadline looming, you can find out if your lawyer would be the right person to defend you. If you ask for one, your lawyer can also provide you with a written legal opinion that what you're about to do is lawful. And if your lawyer turns out to be wrong, you can hold them (and their malpractice insurance) accountable. Unlike advice you might get from a friend, your lawyer's legal advice is completely confidential. So, if you elect not to follow all of your lawyer's recommendations, it won't provide the plaintiff with evidence you were negligent, because no one will know what your lawyer's advice was (unless you waive your attorney-client privilege). If you need a lawyer, look for one licensed to practice in your state who has expertise in the area you need. Here's some suggestions for When and How to Hire an Attorney. We note here that only lawyers can give legal advice. Paralegals, no matter how experienced/accomplished/knowledgeable, are not lawyers and therefore they can't lawfully provide legal advice. Advice from a paralegal, unless given in the context of an existing attorney-client relationship, is not confidential. Therefore, relying upon a paralegal's advice is very risky. Asking your paralegal friend for legal advice also puts him or her at risk. If a paralegal provides legal advice, whether or not they are paid for that advice, they are violating their state's unauthorized practice of law statute, which can have serious legal consequences for them. In addition, if the paralegal's employer finds out they've provided legal advice, even outside the office, they could get fired, and have a lot of trouble finding another job. Won't Your Insurance Company Defend You? If you operate a commercial website, you most likely have commercial liability insurance. But will that insurance pay to defend your website in a defamation lawsuit? Your commercial liability policy may specifically exclude coverage for defamation, or it may limit the amount of coverage. So, it's best to read your policy before posting negative information. If your policy doesn't provide sufficient coverage, it's best to know that (and go get appropriate coverage) before your website is sued. So You're Saying No One Should Ever Publish Negative Information about Anyone? No. However, before publishing negative information, the publisher should be aware of the significant risks associated with doing so. That means (honestly) assessing what the publisher hopes to accomplish by publishing the negative information, and deciding that it's worth the risks. Included in the decision should be an analysis of whether publication is the best means of accomplishing the goals.